Could saline solution be the magic cure for sciatica and other forms of radiculopathy? I don't know. Maybe it's a dumb question. But one thing is certain. It has been used in research studies to effectively treat sciatica with the same success rate as epidural steroid injections. If you've read my series on epidural injections, then you know that at one time I was skeptical of their use for the treatment of sciatica. There were several reasons for this not the least of which was a research study that appeared back in 2003 that seemed to cast steroids in a bad light. At that point -- because I wasn't very interested in steroids to begin with -- I decided there was no reason to waste any more time on them and moved on to other topics. It wasn't until years later that I would find myself revisiting the subject with fresh eyes and a bit more interest than before. This time I wanted to find out as much as I could about steroid injections and whether or not they could in fact play a role in helping people rebuild their backs. So naturally, as I was gathering reference materials, I went back and dug up that old research article and took another look at it. Isn't that interesting? There was a fifty percent success rate in both groups. Despite my earlier dismissal of steroid injections, a closer examination makes it clear that this study did not prove that epidural steroid injections were not effective. All it really demonstrated was that something else (saline solution) was also effective at relieving the symptoms of sciatic nerve pain. Rather than casting steroid injections in a bad light, what this study actually seems to be telling us is that both treatments produced the same success rate. Why were saline injections successful? Is there a role for saline injections in treating sciatica? Could saline injections (given either prior to, or post) enhance the results from steroid injections? 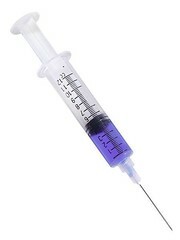 Since we know that some people are not candidates for steroid injections, perhaps they would respond favorably to epidural saline injections? This might be worth asking your doctor about. 2. Valat, JP, et al. Epidural corticosteroid injections for sciatica: a randomised, double blind, controlled clinical trial. Ann Rheum Dis. 2003 Jul;62(7):639-643.